When you’re just starting out in your first home, the living room is where visiting family and friends congregate for the housewarming party. It’s where you rest and relax after a long day at work. And, if and when the time comes to expand the family, it’s where new parents may anxiously listen to the baby monitor, where children take their first steps, where teens groan over dad jokes, and it is the stage where the drama of sibling quarrels may be acted out. The living room is a center of family life and it can take a lot of wear and tear over the years. Designing the optimal space that’s safe, comfortable, and stylish for all that takes place there can seem like a Herculean task, but it doesn’t have to be with a few key considerations. One of the first considerations to think about when researching new furniture pieces is to think about the age of your family. A large hardwood coffee table with built-in drawers is great for families with older kids. The drawers can hold board games and the whole family can gather around the large tabletop to play them. As the kids get a little older, the drawers can also provide an out-of-the-way place to stash remotes, game controllers, and other tech when it’s not being used. The drawers also make a great place to store manuals and warranties until they’re needed. However, if your family is very young and you have infants or toddlers who are just learning to walk, that same table can cause parents a lot of worry. It’s the perfect height for toddlers to tumble into, and protruding corners can become the reason for a trip to urgent care. 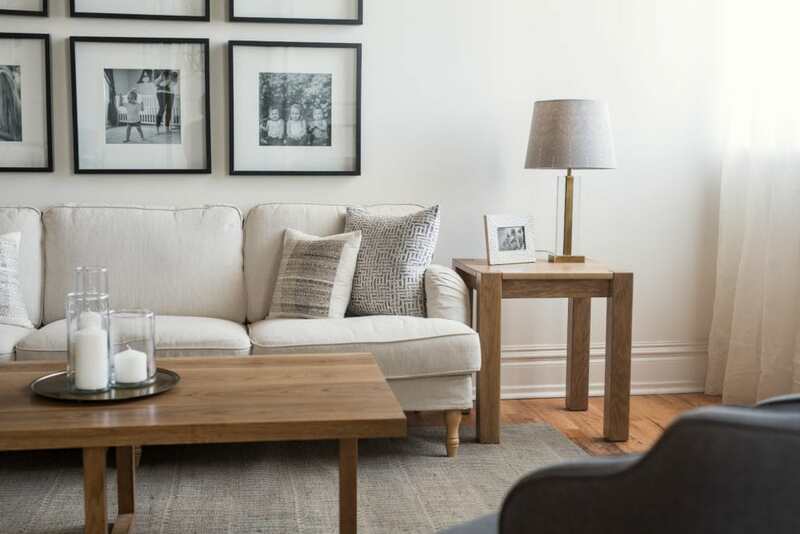 Perhaps purchasing that perfect table is something to keep for just a bit further down the road, but this certainly doesn’t mean that your safer living room has to be boring or unstylish. Small details can create a beautiful aesthetic, and wisely choosing quality furniture can make a space both safe and chic. Coffee tables are an important part of balancing a living room’s appearance. Unfortunately, they are responsible for many childhood injuries and are best left out of the center of a living room design until children are steadier on their feet. Not only are they the perfect height for potential toddler mishaps, but older children have also been known to climb on top of them to play or even to reenact scenes from their favorite superhero movies. With this in mind, coffee tables are best pushed to the side of a living room where young kids will be playing or put in storage. Plastic animals or sculptures: Toy animals and safe plastic kid’s decorations can seem kitschy in a living room. However, given a coat of non-toxic paint they can make for a stylish display that matches the decor and is still perfectly safe for little hands to grab. Educational Toys: Certain educational toys like wood models of ships, molecules, dinosaur skeletons, and even blocks can make for tasteful display items that kids can safely play with. Just be careful to avoid things with very small parts. Cardboard Crafts: Items like cardboard globes and standups are child-safe displays that are widely available in home decor stores. Arts and crafts that you make with your child can be a nice display item as well as a fun activity. Photos in Childsafe Frames: No living room is complete without photos of your loved ones. Lightweight frames with rounded corners and clear acrylic in place of glass are excellent choices for display on end tables. Heavier or breakable display items need to go up higher, out of the reach of little hands. Sideboards with high tops provide excellent display areas for items that you want to keep out of reach. Use your judgment when choosing these items, and if you think that there may be a risk, you can display them not only out of reach but also behind closed doors in a high display cabinet in a hutch. Keeping your kids safe definitely doesn’t mean that you must sacrifice your personal style. When designing a family living room suitable for young children it can be tempting to choose lighter-weight, almost disposable furniture. This is not the best choice for style or safety though. Inexpensive furniture tends to be made of chipboard and veneer, and veneer can be easily damaged by children. Lighter-weight furniture can also be rocked or even tipped over much more easily than solid, heavy pieces, posing a greater safety hazard. 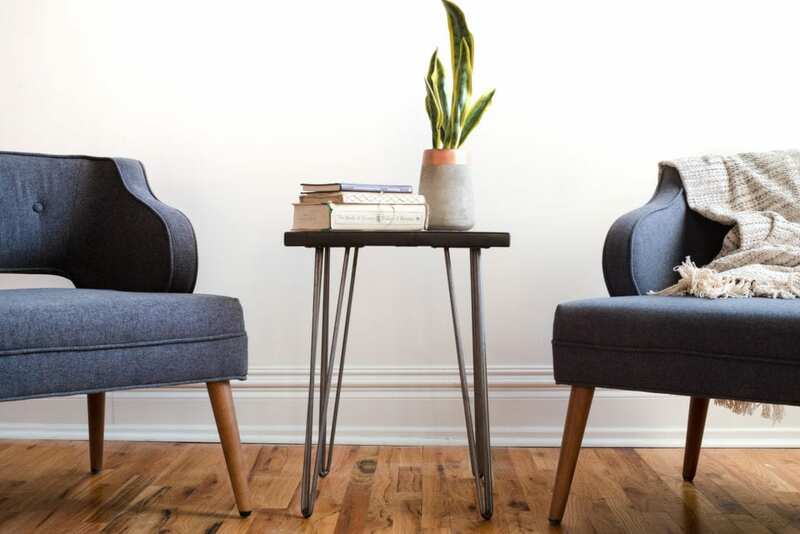 High-quality furniture, however, provides a finish that lasts longer and can be repaired. It tends to have a heavier weight that isn’t easy for a child to move or shift. When planning a kid-friendly yet stylish living room, heirloom-quality hardwood furniture that can last into the child’s adulthood is the safer and better-looking choice. Those who may have young Picassos and O’Keeffes on their hands should also keep in mind that crayon and finger paints wipe off of hardwood that has been given a quality finish, where they won’t on cheaper materials. Deeper scratches and chips can be fixed by refinishing the wood. Custom wood furniture can also be built to match your home’s specifications and to account for your child’s safety. 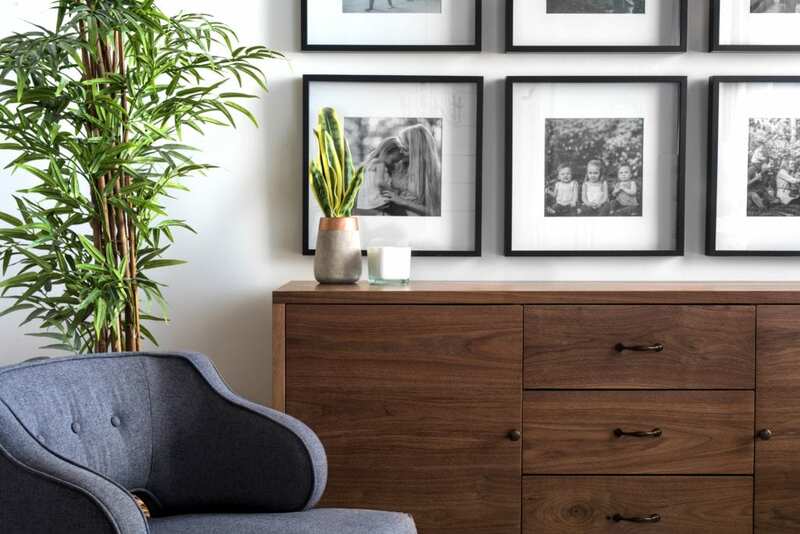 The height of a sideboard you use as a media cabinet can be raised to put expensive electronics out of reach, or be built with shaker or rustic doors instead of glass for safety. Combined with a lifetime warranty, heirloom quality wood furniture can last through your child’s youth, into their teen years, and can go on to decorate their own living rooms when they purchase a home of their own. Dallas families looking to design a kid-friendly and stylish living room for their home can stop by the Arts District and take a peek in the Unruh Furniture showroom in the heart of Deep Ellum to get a sense of the many ways that beautiful, custom furniture can evolve in a space right alongside a growing family. At Unruh Furniture, we build custom furniture in the hardwood, size, and finish that is exactly what your space requires. We not only make furniture to your precise specs, but we also offer a lifetime warranty. If your Unruh furniture is damaged, we’ll repair regardless of who is at fault. Schedule a visit to our Dallas showroom in the Arts District to pick out your kid-friendly living room furniture today. Image 1: The Madison End Table by Unruh Furniture is a kid-friendly yet stylish table. Image 2: The Dufare Sideboard provides plenty of storage in a mid-century style that can be made child safe.